Once I saw Perdition, I knew it’ll make a great video. It was so emotional, dramatic, devasting and yet – a real visual treat with a happy ending (for Richard and Kahlan at least). I love movies and TV series episodes about dreams, hallucinations, fake, alternate or parallel realities and this episode was a real dream come true. 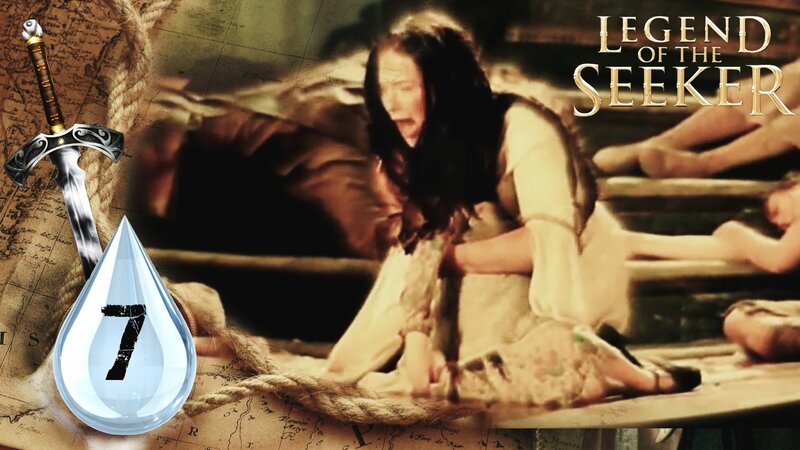 I love how far Legend of the Seeker was ready to go before reinstating the original state of affairs. It created and destroyed lives, changed the past and characters personalities and all was just to go back to the usual. Even if the new reality seemed much better, like the one where Kahlan marries Richard and they rule together in harmony and are expecting (hopefully) a baby girl (one of the final episodes of LotS), unexpected events turned everything upside down again and the temporary alternate universe would collapse and bring back the usual word of LotS. Despite their fleeting and fable existence, I loved these alternate storylines in the show.